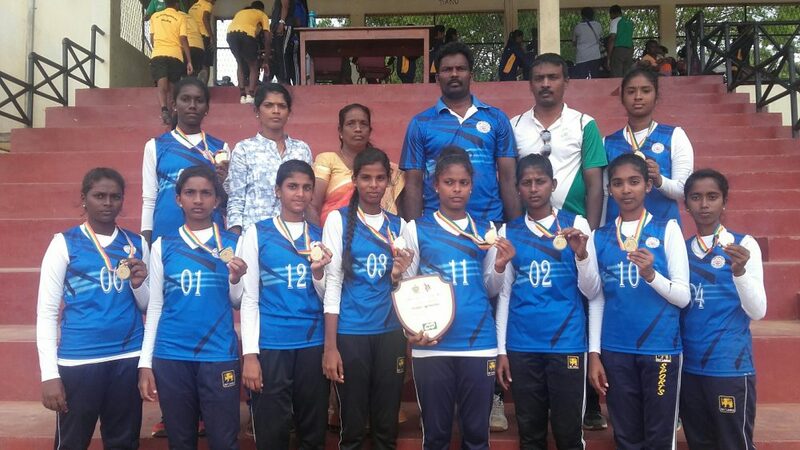 In the National Schools Throw Ball series held at Empilipitiya President’s Vidyalaya grounds, Thellipalai Union College won the Gold in the under 17 group Girls event. They beat Javakarla Vidyala Team in straight sets of 25:12 and 25: 17. They won the Won the Silver in under 20 girl group, by going down fighting against Colombo Srimavo Bandaranayake Vidyalaya team in the 1st set 25:17, and losing the other two sets. Ilavalai Convent won the Bronze in the under 17 girls group beating Vavuniya Suntharapuram Saraswathy Vidyalayam by 25:14, 25:16. Thelipalai Mahajana College had qualified to play in the Finals of under 20 Boys Football National Schools Championship. It will meet Colombo Kandana De Maznod Vidyalayam in the final to be held in Anuradhapura today. In the Semi Finals , they beat Trincomall Kinniya Central College in a tie-breaker scoring 4:2. It is notable that the Mahajana Team had qualified for the finals after a lapse of 40 years , after winning the championship in 1978.